The Nationals are “scouring [the] market” for a starter, according to Bob Nightengale of USA Today (via Twitter). We have heard varying suggestions on this front, as the Nats deal with the loss of Joe Ross and newfound uncertainty regarding Stephen Strasburg. While the latest signs on Stras are positive, Barry Svrluga of the Washington Post argues that the club ought to going after a front-line starter regardless. Beyond the possibility of augmenting the club’s staff for an anticipated postseason appearance this year, the possibility of adding an arm for 2018 and perhaps beyond would seem to hold appeal, perhaps adding to the justification for making a move. Though it’s still unclear just what course the Cardinals will take at the deadline, the club is now “expected to listen to offers” on outfielders Tommy Pham and Randal Grichuk, according to MLB.com’s Jon Morosi. While the Cards do now have quite a few options in the corner outfield, both of these players seem to fall in a curious spot in the potential market. There just isn’t much deadline demand in the corner outfield to drive up prices, and the Cards would surely be valuing their lengthy control rights in exploring potential deals. While there’d surely be interest, neither really looks to be a likely deadline mover from the outside. Of course, St. Louis also has some shorter-term assets that might be of interest — Lance Lynn, Seung-hwan Oh, and Trevor Rosenthal chief among them — and Morosi does note that the Dodgers and Nationals had scouts at the club’s latest game last night. Whether the Cardinals will really punt on the present season when the division is still in reach, though, is hardly clear at this point. The Reds held shortstop Zack Cozart out of the lineup today as he continues to deal with quad issues, as MLB.com’s Mark Sheldon writes. It seems the hope is that this is more a rest day than the precursor to a DL stint, but it’s not the best news regardless. Cozart has been great this year, but the quad problem further dents his value in a market that doesn’t seem to have much appetite for shortstops. Cubs president of baseball operations Theo Epstein says there’s nothing close to completion at this point for his team, as Jim Bowden of MLB Network Radio of Sirius XM tweets. The team is unsurprisingly still looking at pitching, with the rotation and relief corps both being susceptible of improvement. The Cubs are among the teams to have asked the Mets about righty Seth Lugo, per ESPN.com’s Jerry Crasnick (via Twitter). But there’s simply no indication at present that New York will seriously entertain offers on Lugo, as Crasnick and Newsday’s Marc Carig (Twitter link) note. That makes sense given the multitude of pitching injuries the organization has experienced as well as its intentions of competing again in 2018. Some interest has begun to develop in Mets outfielder Curtis Granderson, according to Jon Heyman of Fan Rag (via Twitter). The veteran obviously is very much available, and would conceivably fit quite a few teams as a lefty-hitting outfielder who can still handle some time in center field. On the other hand, he has been hurt and cold at the plate of late, and is playing on a hefty $15MM salary this year. The Nats aren’t trading Soto for a rental who may not be able to help in the playoffs. Lynn isn’t fetching a top 100 prospect. Because they are in win now mode, w starters hurt. The beginning of the season is far different than playoff push time. Looks like they made a big mistake by not getting Sale eh? Plus they wouldn’t have been able to match Bostons offer if the #1 PROSPECT, and #12, so that never would have happened because it wouldn’t have been enough. If they move Robles at all it will be for a front line starter like Gray. They aren’t trading Robles for a reliever. I would be happy with the Padres getting Soto for Hand. I cannot see Robles being dealt for a very good reliever and a 5th starter, just my opinion. Sorry Robles and Soto aren’t being dealt for relievers. Better prospects than them get dealt for relievers all the time. When do better prospects than Robles get traded for relievers? I think you’re severely under rating how good of a prospect he is. Last year when Gleyber Torres was traded for a reliever. And a rental reliever at that. And when Clint Frazier was traded for Andrew Miller along with another legitimate prospect in Justus Sheffield. I am not saying good/great prospects can’t be delay for relievers. I’m just saying that is not Rizzo’s (or the Lerner’s) MO. The Nats wouldn’t trade Robles for Sale so I highly doubt ownership and management would alter that position for a reliever. Also, Cubs and Indians made those trades because they felt they were that one key piece away from winning the WS. The Nats are more than Hand away IMO. Fat, drunk and stupid is no way to go through life Pardesfan. With Maurer gone I wouldn’t be surprised if the Padres hold onto Hand, let him close the rest of the year and if he pitches as well as he has been.. market him in offseason as closer. Highly doubt he will be part of the Padres foreseeable future lol. Markets flooded with reliever options. Unless the Padres get their top 100 prospect and 1 to 2 guys in the 10 to 20 range Padres should hold onto him and deal him at the winter meetings like Kimbrel. Weve seen other names dealt that way. Giles Kimnrel immediately come to mind. Yeah at this point, that seems like a more realistic outcome, especially if they are not getting the deal they want right now. If they let Hand close and he does it successfully, it will only help increase his value by the time the offseason rolls around. All it takes is a bullpen to implode in the playoffs for teams to reconsider their pursuit in the off season. Plus in the off season there will be more teams expecting to compete in 2018. Teams currently out of contention but could look to compete in 2018- Mariners, Angels, Braves, Cardinals, Rangers as well as the Nationals, Cubs, Dodgers, Rockies could be looking for upgrades as well. That’s not a factor. Teams that aren’t contending now but plan to contend in the future trade for controllable big league pieces at the deadline all the time. Padres did this with Ian Kennedy four years ago for example. If a non-contender wants Hand for 2018 and 2019 they won’t wait. Why do Padres need a closer when they are rarely ahead in ninth inning? More prospects that won’t make bigs for 3 years…why change now. Another Jackass GM in SD! Padres ownership are a bunch of suckers! Because a closer has more trade value than set up men. What stymee said. If they can’t get a good deal for him now, they might as well have him close games so that his price will go even higher. Even on this team, he would still be able to get a good number of save chances in the last couple of months of the season. 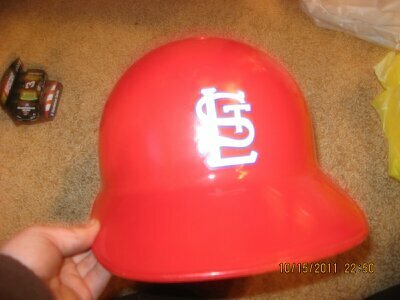 Cards do not need pitching unless its bull pen help. I would say Carson Kelly is an untouchable at this point. They DFA Fryer so he is the only other catcher on the 40 man roster at this point. Pham as a large upside if he can stay healthy, he has had some issues in the past with that. Cardinals need a middle of the order bat and I don’t believe the Mets have one at this time. Harvey and Wheeler don’t have much of any value at all by now. Don Smith is a good but overweight piece. Doubt the Cards would send out prospects for Familia as that makes no sense for them. Adams won’t necessarily have to be involved, and the Yankees have already said they won’t deal him. Whether they get Gray or not, we’ll see, but Adams won’t be involved. They won’t, or shouldnt, get him then. It really all depends on how all of the teams involved value him, and what prospects they all put up. To say they won’t or shouldn’t get Gray if Adams isn’t involved, doesn’t make much sense. Again, I don’t know if the Yankees will ultimately acquire Gray, but it’s become apparent that they aren’t dealing Adams. With that said, the Yankees have tons of prospects that they could use to build a package for Gray that could rival/beat anyone else’s package, even without Gray. Even without Adams, sorry for the typo. Just because Adams hasn’t been dealt yet doesn’t mean he won’t. Although I agree with this comment, it doesn’t sound like they’re trading Adams for anyone available at the deadline. They weren’t going to include Adams in a trade for Quintana, what makes anyone think they would include him in a trade for Gray? I think the whole Quintana thing was just smoke and mirrors,and Gray is more then likely the same. I think their priority was to shore up the bullpen which surprisingly was a weakness. They will probably go with what they’ve got because..1 they’re ahead of where they thought they’d be,2 if they would have played .500 in one run games instead of being 9-19 they’d be up at least 4 or 5 on the Sox. I’m starting to think a package of Schefield, Mateo, Frazier and Gregorious would be the package to get Gray. Or maybe Severino and Torres, but even that may not be enough. Gray is a top 3 pitcher in MLB, and he’s extremely young, it’s going to take a lot to pry him from my team. Dude… what are you smoking?? Actually, I’m going to take this comment as pure satire. TraderRyan9, how do you figure it would take Frazier AND Adams to get Gray? Quintana is a better pitcher and he didn’t bring back that package. Some proposals around here are just ridiculous. More longer Gray is on the market is the more likely he isn’t traded. A’s already said they want a big package to get him. Since he has 2 years left after this year no need to trade him this week. So if your team is not trading a top 50 prospect and a bunch of other prospects your not getting Gray. So you can stop posting about trading your fringe prospects for a solid starter. Florial, Mateo, 2 of Tate, Littel, Perez, Guzman, Acevado, Abreu, Widener and Mckinney is the realistic deal for both sides. This has to be a troll. Tell me this a troll. Someone. Anyone. Nobody wants Alonso,who has truly come down to earth. Stop acting like this guy is something other then an average player. Hype him up all you want,but Cash isn’t stupid enough to bet the farm on a trade with him included. A’s take a pass on that trade. It would take Florial, Mateo, Acevedo, Sheffield, and Wade. Gregarious does Not have enough control for a team doing a rebuild, and while he may be better than what they have, the As don’t need a SS. Seems no one wants to win the WS this year. Dear trader Ryan, can you please either delete your account or start using your little brain? First you make the dumbest comments and act like you know everything because you think your an MLB insider. And you diddnt even read his comment, do before making such an ignorant comment please check what your commenting about. Fans of the smallest teams are like the littlest guys on the hard courts..they chirp the loudest. 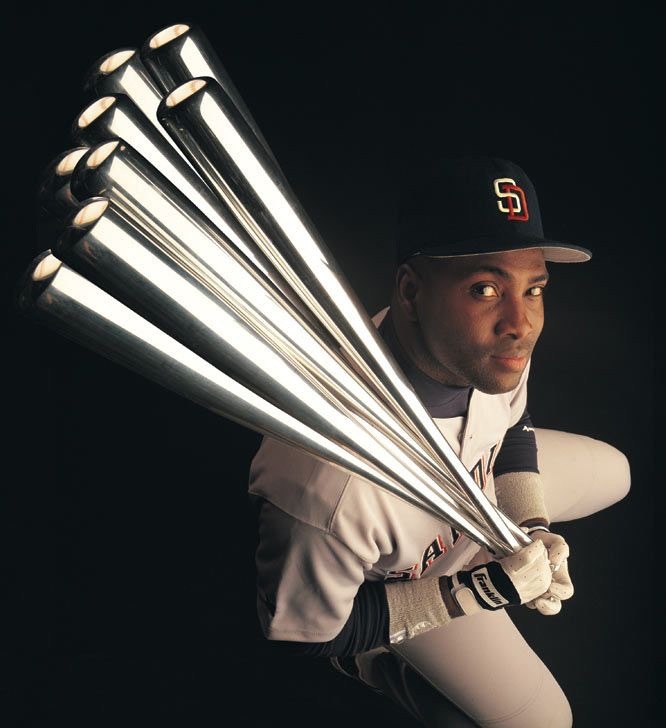 As a Padre fan, I wish Ron Fowler would let Peter Seidler handle all of the interviews and radio appearances. Seidler seems more professional and keeps things a little closer to the vest than does Fowler. If I could up vote this 100 times, I would. Hopefully Fowler isn’t extend beyond this year. Fowler is an owner, he will always be there. That is true, but Seidler was/is supposed to take over as Executive Chairman and be the face ownership in the near future. That will be a good day for all Padre fans. Right, but even then I doubt Ron will be able to help himself and still talk to the media. I wholeheartedly agree. Unfortunately, like others have touched upon, Fowler is not going anywhere. His heart’s in the right place, but he sometimes needs to watch what he says. Nats should be going after relievers not starters. I think Rizzo should be calling up Ross Atkins in Toronto and see what he’s willing to give up for Osuna. Fedde?? Fine, take him. Stevenson?? You can have him. Robles?? Ok. Osuna can put this team over the top, a mediocre starter probably won’t. Ithink Osuna might be the only untouchable the Jays really have. The Padres can’t afford to let what happened with Tyson Ross happen again with Brad Hand. Need to learn from prior history and cash theses chips in while they are hot. You have the absolute peak value for Hand right now and waiting until the offseason just increases the chances of A.) Him getting hurt or B.) Digressing and not being as dominant as he has been this year. The Padres are a rebuilding team. Brad Hand is a relief pitcher. Bad teams have no use for elite relievers, cash in and get what you can now Fowler and Preller and co. The Padres have a really good looking farm system but the one thing I will say it is lacking is that one Boom in your face prospect who looks like he is going to be the next superstar in the game. Finding a way to acquire a guy like Robles or possibly even Verdugo, it will then give the Padres just that. Trading Hand now gives the Padres the best opportunity to find a guy like that to add to the system. To be fair people were saying the same thing about Craig Kimbrel two years ago and Preller got a better return by waiting on him. But I believe that is the exception rather than the rule. Yeah it’s a gamble, it could work out the Kimbrel way as well but you leave a lot at chance when you do that. Even if his value goes up a tiny tick from here to seasons end it isn’t enough in my opinion to take the risk of getting to that point injury/digression free. It is an important time for the future of this organization’s front office. When you rebuild you do it full and you do it right. You have a reliever who has sky high trade appeal right now and a farm system that already is a force to be reckon with. Now go add one of the best prospects in the game for a piece you acquired on the waiver wire a year and some change ago. Until The Padres are competitive again they need to exhaust every opportunity to add to this organization. Trading Hand strengthens the rebuild and makes sense now more than ever. I can see it both ways. Sure the Padres got nothing for Ross because they waited too long to deal him. On the other side, the Padres waited on Kimbrel and got a better return than they would have the previous trade deadline. It’s a game of chicken, let’s see if Preller and Co. can come out on top. A lot of guys get injured in today’s game and it’s unpredictable. Holding on to a hot commodity too long and you’ll get burned eventually. The Padres can’t risk losing out on what could be landing a can’t miss top prospect for a bullpen arm. Even if both scenarios when differently for Ross and Kimbrel I would have been happy. Ross obviously because we would have gotten Javier Baez back for him and with Kimbrel, he was rumored to the Yankees at the deadline for Mateo. It would sure be nice to have a double play combo of Mateo and Baez. The problem with a Tyson Ross comparison is the # of sliders thrown. As a starter Ross clear threw more sliders than Hand does. More sliders puts more wear and tear on the arm. As for the gamble- you don’t trade your best trade chip for peanuts. He’s controllable for 2 more seasons. Depending what is being offered the gamble might be worth it esp when there are more suitors in the offseason and less options on the market. Remember when the Cubs offered Junior Lake for Ian Kennedy? Well that QO was more valuable. The Mets offered Michael Fulmer for Justin Upton and some believe he should have taken the deal, but in the long term plan of the team the Padres would have wasted 4-5 years of Fulmer during these rebuilding seasons (2016, 2017, 2018, 2019) which means theyd have 3 or less seasons of Fulmer when they’re theoretically suppose to be competitive come 2020, 2021, 2022. 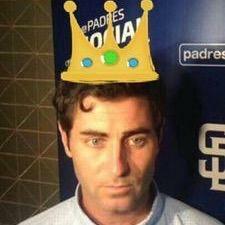 Preller went with the QO and used it to pick up Potts, Lawson, and Thompson with the Upton QO pick. There are the same # of suitors for Hand right now that there would be in the offseason. And the QO picks for Kennedy and Upton got us Potts and Lauer. If I had to guess, the Kimbrel thing happened because the Sox hired DD after the deadline and before the offseason. I mean, teams already knew what Craig Kimbrel was at the deadline so if they weren’t willing to give Preller what he wanted then, in the heat of a playoff race, I don’t see what he could have done to change their minds. But evidently, DD was willing to give Preller what he wanted for Kimbrel and I’ll bet that if he had been hired a few months earlier that trade would have been made at the deadline. So you believe that trading Fulmer now, if he was a Padre, would not net them more than that? It would. Preller biffed it by not taking Fulmer for Upton when it was offered and anyone who says differently is simply in denial. He also doesn’t get nearly enough heat for not trading Shawn Kelley, who became a free agent and signed with the Nationals after the season while we got nothing. He wouldn’t have gotten us a blue chip prospect, but we could have done better than just letting him walk. The Upton for Fulmer vs. Potts and the money saved on his deal that went towards Quantril, Lawson, and Thompson is still up in the air as to what deal was better. Potts, Quantril, Lawson, and Thompson havent made it to the big leagues yet and its hard to judge the deal currently. We won’t know the true outcome at least till 10 years from now. If Quantril, Potts, Lawson, Thompson produce more value than just Fulmer does in his career then Padres made the right choice. Lawson signed for 1.9 million, slot value of 905,900- which means 994,100 of the 1,191,200 was used leaving 197,700. I forget the exact rules of the draft, but teams are allowed like what 5% over their draft pool without being punished? The 24th pick at a slot value of 2,191,200 added 109,560 to the pool meaning 307,260 of quantrils 332, 145 over slot deal came from the value of the 24th pick and who the Padres wound up drafting. Course they saved money elsewhere as well, but the 24th pick received from Upton went towards, 350k over slot quantril deal, 1 mill over slot deals for Lawson and Thompson, and would have gone towards the 3 mill overslot deal they had in place with groome for about 5 mill. Would the Padres rather have Fulmer or Potts, Quantril, Thompson/Lawson? We won’t know till Potts, Quantril, and the two players they gave those 1 mill over slot deals come up. Cause without that money from the 24th pick they received from Upton it drops the Padres draft pool money by almost 2.3 million that year. Would Fulmer net more than that? Sure, but I don’t see Preller trading players with long term control. None of Renfoe, Margot, Hedges, etc. are even available it seems because of their long term control. Same with Torres. So doubt Preller would trade Fulmer and his long term control during these down years. Padres are theoretically shooting for 2019-2020 to be competitive which Fulmer fits the back half of their competitive window assuming 2020 is when everyone is ready. And why would the Padres trade Fulmer if they are competitive those years? Even if the Padres did trade for Fulmer most likely they wouldn’t have traded him even during their down years given his long term control opting to hold onto him for 2020, 2021, 2022. You are bigh52334. You said that the rebuilding Phillies should trade for James Shields and that trading for Matt Kemp was a good thing. The 25 pick got them Lauer. It was Lauer or Fulmer. Not Fulmer or all 3 of those guys. Padres could have still drafted whoever they wanted. Just with one less pick. And the Tigers wouldn’t take all 3 of those guys for Fulmer if we asked them to. I guess it just depends on whether any of those guys can live up to what fulmer is, or possibly even exceed it. Not really, as bring in the relief said above, the savings the Padres gained in signing Potts and Lauer for below slot deals allowed them to draft and sign, signing being the key, Lawson and Thompson. If you think the Tigers would trade Fulmer for Lauer, Thompson and Lawson, then and only then does your argument hold water. Robles and Turner for Brad Hand and Carter Capps, I know the Nationals would have to do that but the Padres could probably find better value elsewhere. If Capps had come back and dominated like in the past, maybe, but with him just now being ready to make it back to the Majors, I cannot see this deal happening. You think the Nats would have traded their top prospect and, albeit currently injured, starting shortstop with ~5 years of remaining control for Capps and a fifth lefty for their bullpen? That isn’t realistic. Doubt the Nats would trade either in any package but this one isn’t remotely close. To be honest, I figured the ‘Turner” mentioned above was some low level prospect, not Trea. Still not giving up on 2017 for the Cards. Pythagoras has them 4 games better than their record, and with the rotation sparkling, I say the rest of this week should be the determining factor. If they win series against the Rockies and D-Backs, they should stand pat. If they can acquire an impact reliever, then they should do it. A left-handed hitting outfielder would be nice, but there just isn’t anyone available that would justify losing a top prospect. It isn’t just a Wild Card they are chasing, but a division title, still very much within their reach. Beane may be the most overrated GM in history. Blah, blah, Moneyball, blah … they didn’t win because they got Scott Hatteberg and Chad Bradford – they had three aces and an MVP. Oh, and yeah – they didn’t win a single playoff series. I question whether he’s actually a Padres fan, or he just likes to spend his free time criticizing people on the Internet. Why are the Cardinals listening on one of their only good assets (Pham not grichuk). With certain moves the team could be greatly improved, there’s no need to tank. Especially with how some of our returns have gone (Adams for random prospect). I think I love the thought of Adam Jones going to Washington for T. Turner, A. Eaton, J. Werth and G. Gonzalez going to Baltimore I’d be thrilled if the O’s could finalize this deal. I know this is a joke post but I can’t quite understand why people waste time posting stuff like this. Or why I’m wasting time responding to it. Mets aren’t going to trade Lugo because IMHO they are going to have to move Wheeler to the pen. They should probably also find a way to move Harvey(if proven healthy) this off-season., further depleting their SP depth. They will be looking to add arms not subtract them. Pham, Lynn to dodgers for Calhoun and yusniel Diaz. I agree they need to keep Lugo. Hypothetically what would the Cubs have to give up to make that trade? Don’t think the cubs have much left in the farm seeking Lugo over a Darvish type pitcher. Cubs see Lugo as buy cheap high reward pitcher. Lugo is drawing interest because he’s cheap and under control.. Mets are in no position to move a starter but certainly could cash in if they did. Mets and Rockies Ryan Castellani and Pedro Gonzalez to the mets for Granderson and Rivera greater than Cubs getting Rivera and Lugo. Mets favor Rockies getting a deal done. Would have to think wacha as similar appeal as gray. 2 young controllable studs pitching well. Don’t underestimate Lynn-playoff tested strike thrower. I really want to see Votto in Boston.